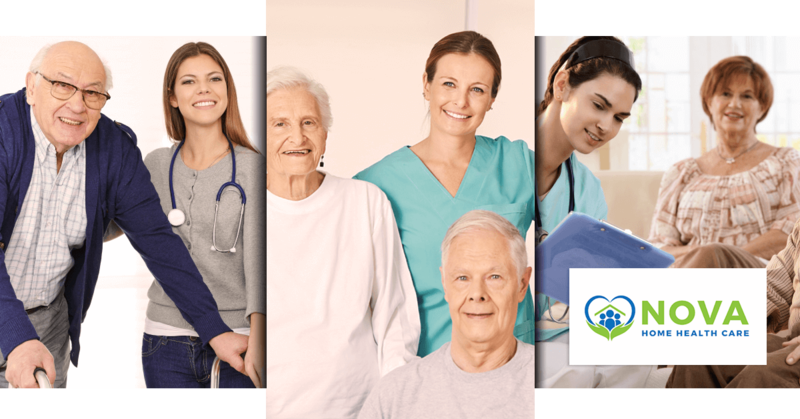 We have a team of Registered Nurses (RNs), Licensed Practical Nurses (LPNs), and Certified Nursing Assistants (CNAs) which can provide a variety of in-home care services. Whether you need blood work collected from your home, wound care after a surgery, or any other service, we’ll work with your physician to provide convenient care. Regaining speech and oral functionality can be liberating. If you’ve suffered from a stroke, tongue cancer, or another condition that affected your speech, we can help. We’ll work with you to overcome articulation issues, troubles with eating, and any language issues you may have. A Speech Therapist will work with you directly to learn more about your needs and to formulate a plan that works well for your condition. Whether you can benefit from boosted muscle strength, or you need physical therapy for a prosthetic, we can help. Our physical therapists aim to make you more mobile, more balanced, and more free to do what you’d like. Plus, like all of our services, you can enjoy therapy from the privacy and security of your home. We’ll develop a physical therapy plan that’s perfectly suited to your unique situation. It can be difficult to get back on your own two feet after surgery. In addition, you’re likely in pain, and you’ll have more demands than normal. We can provide nursing care, as well as assistance with personal care needs, including bathing, house-keeping, cooking, picking up prescriptions and more. Pair our skilled nursing services with our home health aide services for an unbeatable care program after you’re out of surgery. Learn more about our post-surgery care services. Great healthcare may just start with your diet. If you have an illness, an injury, or a disability, it can be difficult to care for yourself with proper nutrition. Let us help. We have registered dietitians on our team who can provide you with a meal plan and nutrition advice that suits your needs (and tastes!). Learn more about our dietitian services. When you have an appointment scheduled, we’re here to help you get to and from your medical center. We can provide discharge and outpatient services to ensure that you make to and from your appointments. Regardless of the appointment, be it a prevention exam or a surgery, we’re here to make sure that you get where you need to be on time, and you make it home safely and comfortably. Learn more about our discharge and outpatient services. For accompaniment throughout your everyday tasks, you can count on the hand-selected caretakers here at Nova Home Health Care. We provide a variety of personal care aide services, including assistance with laundry, light housekeeping, prescription filling, shopping, accompaniment to meals and events, and more. 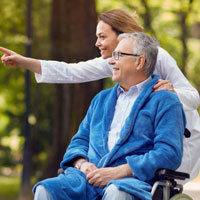 Learn more about our home health aide services. After an illness, an injury, or a disability, you may not be able to do everything that you normally would throughout your day to day. Fortunately, we have trained Occupational Therapists who can help you to complete tasks while aiding in your rehabilitation, so that you can reclaim your life as you know it. Here at Nova, we’re proud to provide premier care services for seniors throughout Fairfax, Virginia. It’s our mission to improve the quality of life and level of independence for every one of our patients receiving our services by providing highly personalized home care tailored to each patient, and delivered in the comfort of their home. If you’d like to learn more about our in-home senior services, feel free to get in touch with us! Take note, we accept private insurance, Medicare, Medicaid, and self-pay.